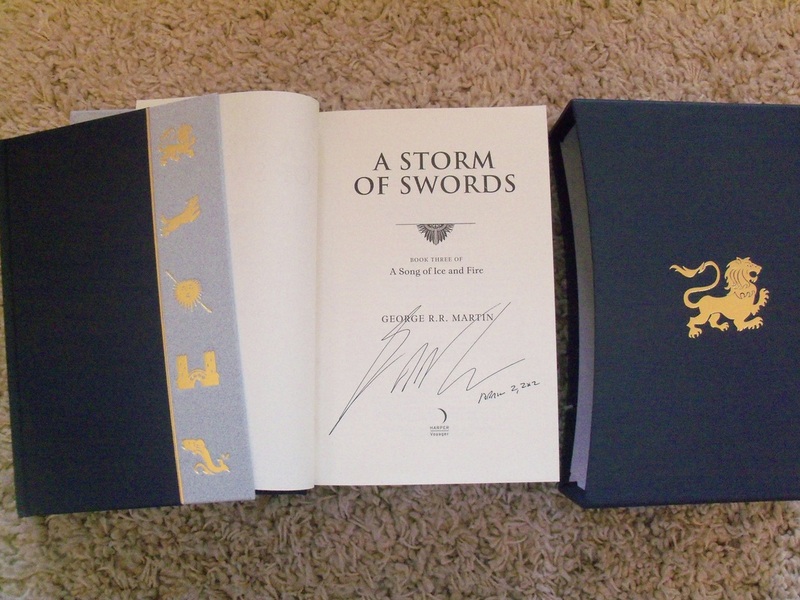 A beautifully presented signed and dated slipcased limited first edition set of books 1 - 5 of GRRM's cycle "A Song of Ice and Fire" the the hugely popular and highly acclaimed epic fantasy series - the ultimate collector's item for any fan. Now a major Sky Atlantic TV series from HBO, starring Sean Bean. A NOTE RE THE DATING OF THIS SET : the first 4 volumes were signed and dated on the 2nd of April 2012, at a stock signing at the bookshop in Bath that hosted the open talk and event on the 4th April (in St. Michael's Church, Bath). Book 5 was signed at the event itself. This set comes accompanied by a copy of the event ticket. You can also see photographs of GRRM at the event on our events page. 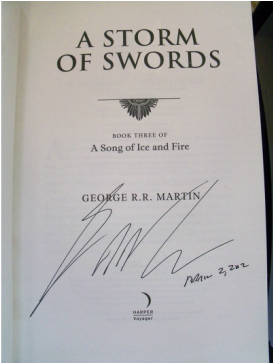 Please note, I have other signed first editions signed by GRRM.